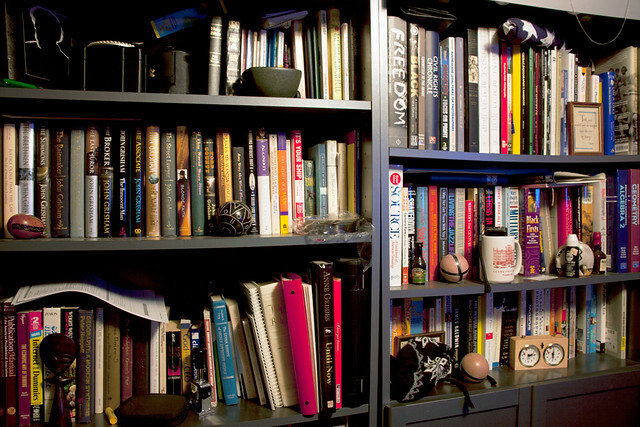 When I think of “Mine” I think of my office and my bookcase which helps describe me. It is full of Bibles, pictures, photography books, math books, John Grisham and Walter Mosely novels, magazines, history books, and stuff. My stuff!